If you are planning your vacation in Punta Cana, but would like to experience more than just a usual all-inclusive holiday, then have a look at our newest blogpost. As we are the experts for Punta Cana and the whole Dominican Republic, we know each and every corner in the area and can provide you with unique insider tips – along with an accommodation, which suits 100% your needs. Have a look at some things to do in Punta Cana, which are off-the-beaten track and let your next vacation in the Dominican Republic be organized by Dominican Expert. Most people are looking for an all-inclusive resort just in Punta Cana including the areas of Bavaro, Cabeza de Toro, Macao and Uvero Alto – but they forget that there are other areas with lovely beaches nearby. 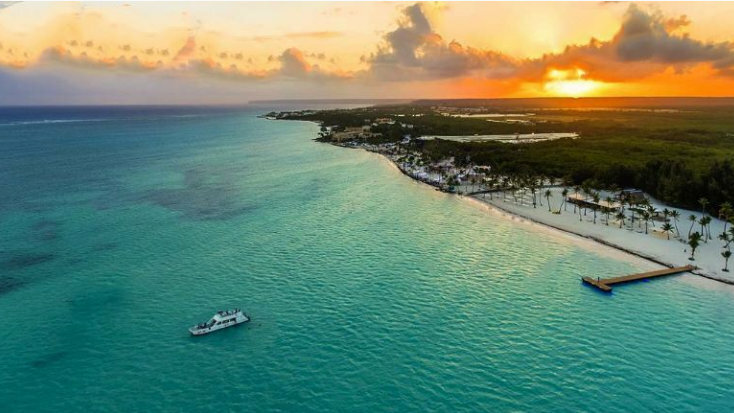 Cap Cana is a new project south of Punta Cana and just a 15 minutes drive, Bayahibe is less than 60 minutes driving away and a completely different world. Especially Bayahibe with its ultra-turqouise water is highly recommend, as prices are lower than in Punta Cana and beaches are not that crowded. 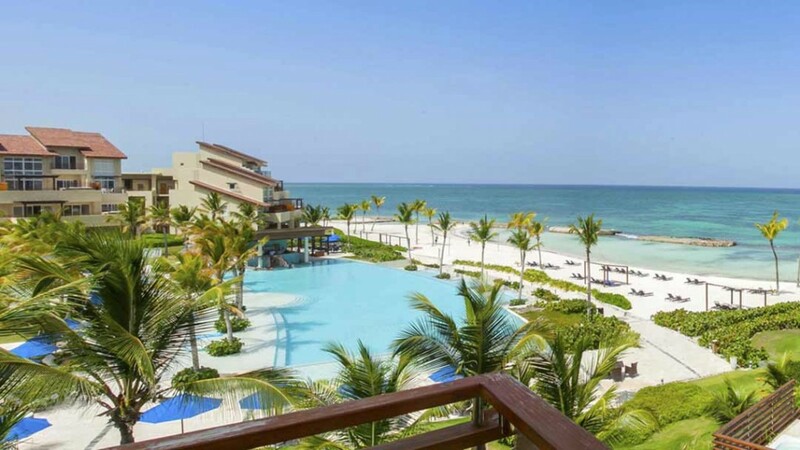 Our recommendation in Cap Cana is the AlSol resort, which features 3 three different hotels. Especially AlSol del Mar Resort with only 122 rooms is one of the smallest all-inclusive resorts in the whole Punta Cana area and features a very personalized atmosphere. For Bayahibe, Cadaques Resort is definitely off-the-beaten track as it is directly adjacent to the National Park del Este. Not everything in Punta Cana is about all-inclusive resorts. Especially in high season, when prices for the resorts are high, it is also worth to have a look at small privately owned guesthouses – some of them are also directly at the beach! Your advantage is more money for excursions and adventures and a more local experience when staying in Punta Cana. Our recommendation: Request us for up-to-date recommendations on Punta Cana guesthouses as we usually do not have them online. 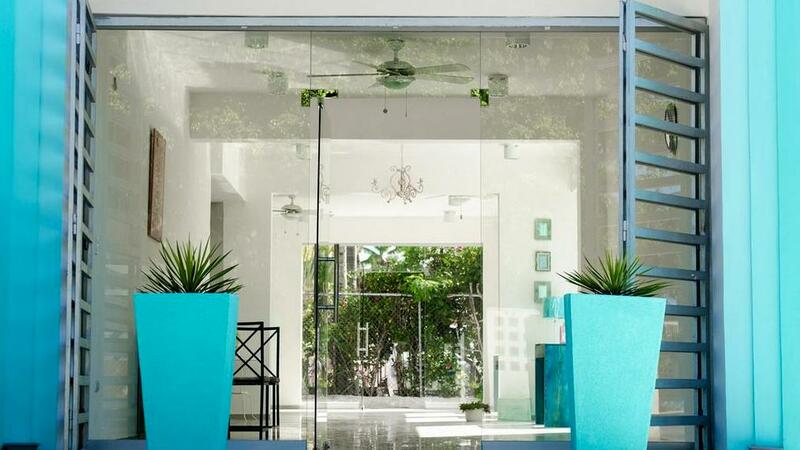 Another option most people don’t think about when they are planning their vacation in Punta Cana is to rent a luxury villa. It will be probably more expensive than just going into an all-inclusive resort, but service, privacy and comfort are unmatched. Imagine you have your private cook and drinks will be served at the pool which you have all on your own – sounds cool, doesn’t it? Our recommendation: If you’d like to take a first glimpse at our villas, have a look at Villa Waterfall, Villa Pandora or Santa Cruz del Caribe. Convinced? 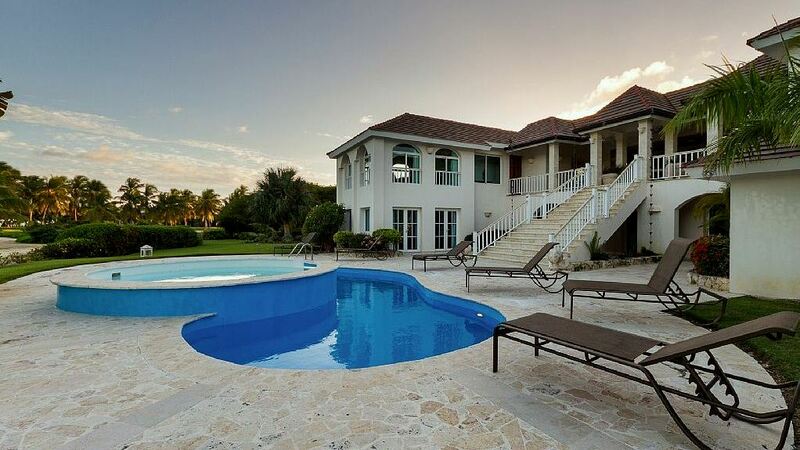 Read on our blogpost about 7 tips on how to find the best villa for your vacation in the Dominican Republic and please enquire with us so that we can find your perfect villa in Punta Cana. Once you have found the right accommodation spot, it is time to get your excursions in Punta Cana planned. 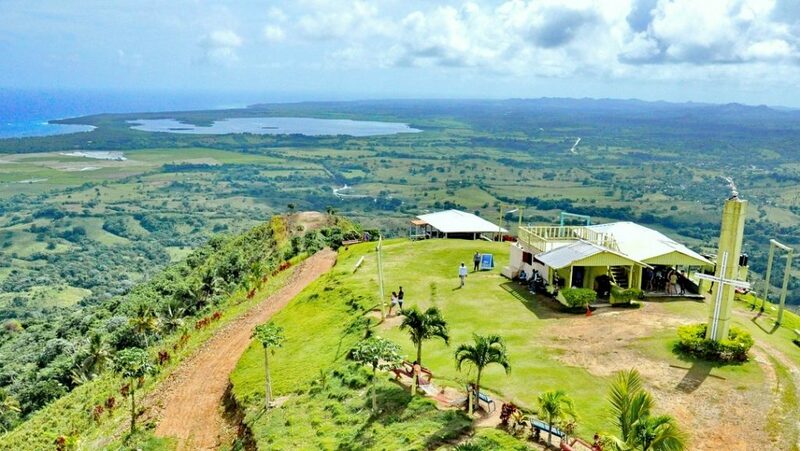 One of the hidden spots in and around Punta Cana is the Montaña Redonda – the so called “round mountain”. It offers spectacular views over the adjacent mountain range as well as the impressive coastline and on top, it offers swings and hammocks on the edge of the mountain which makes up for unique photo opportunities, literally flying over the ocean and the tropical vegetation. Our recommendation:To go up the mountain, you can either go with your own 4x4 from Punta Cana (request us for a rental), take a safari truck for a small nominal fee or simply hike up in approx. 30-45 minutes. Montana Redonda is approx. 1 hour driving from Punta Cana away. If you are looking for even more adventure, you should consider visiting Salto de la Jalda, which at the same time is the highest waterfall of the Caribbean. There are no signs or indications directing to the waterfalls, which already shows how much off-the-beaten track we are talking about here – it might be your biggest Punta Cana adventure. 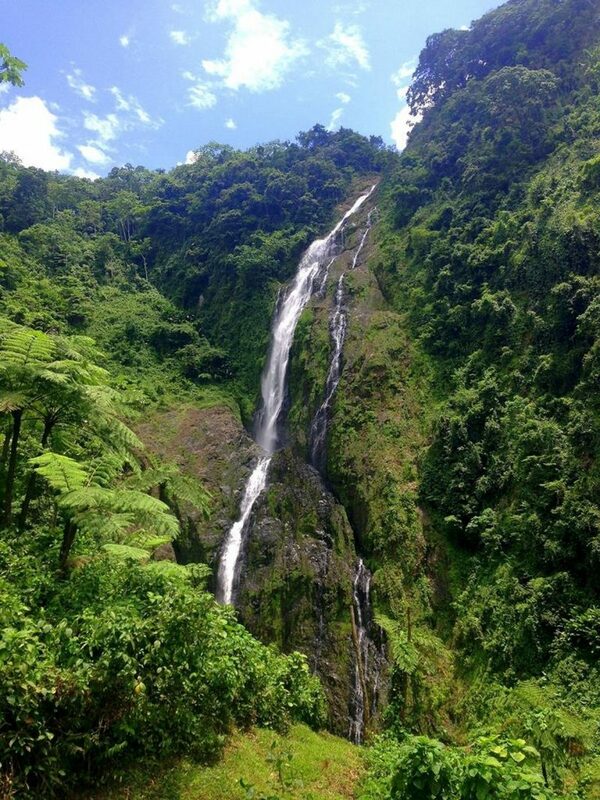 To get to the waterfall you need to be a strong hiker and definitely require a guide, but the rewards with a roaring 400ft-waterfall and a natural pool all for your own will be breath-taking. Our recommendation: Getting to the waterfall is difficult and there are no scheduled excursions from Punta Cana. However, we can organize a driver and a guide, so that you can see this amazing piece of nature. It is less than 2 hours driving from Punta Cana. If you are looking for some things to do in Punta Cana which are very close but still not crowded, we can recommend you the blue lagoons of the area. These are sinkholes with freshwater, which are crystal clear and extremely refreshing, as they are consisting of subterranean water. Those blue lagoons are perfect for snorkelling and swimming and are great fun for the whole family. Our recommendation: There are two easy accessible blue lagoons in the area of Punta Cana. 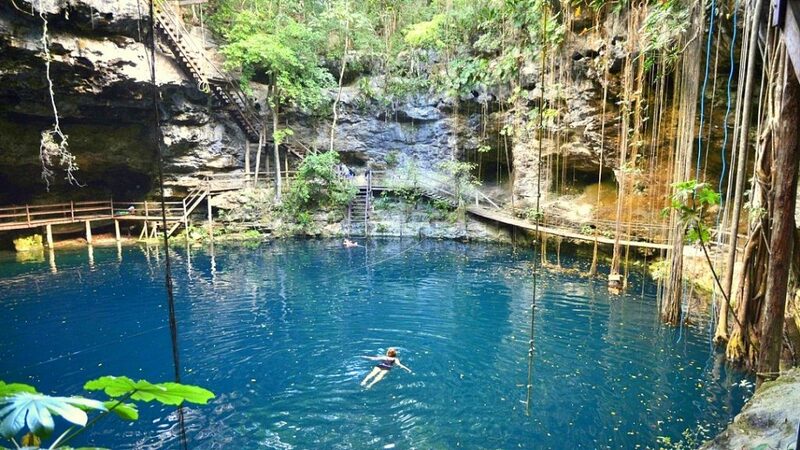 Hoyo Azul can be visited within an organized tour (enquire with us for our specially discounted excursion rates), while Hoyo Claro can be explored individually with a rental car (enquire with us for our rental cars with full insurance). Of course your activities in Punta Cana would not be perfect with visiting some of the world-class beaches the area has to offer – and it’s definitely worth venturing out from your all-inclusive resort to explore some of them. One of our favourite beaches in Punta Cana is Playa Juanillo, an extremely white white with turquoise waters and great beach bars. You can easily pass the whole day here and feel like in another world. 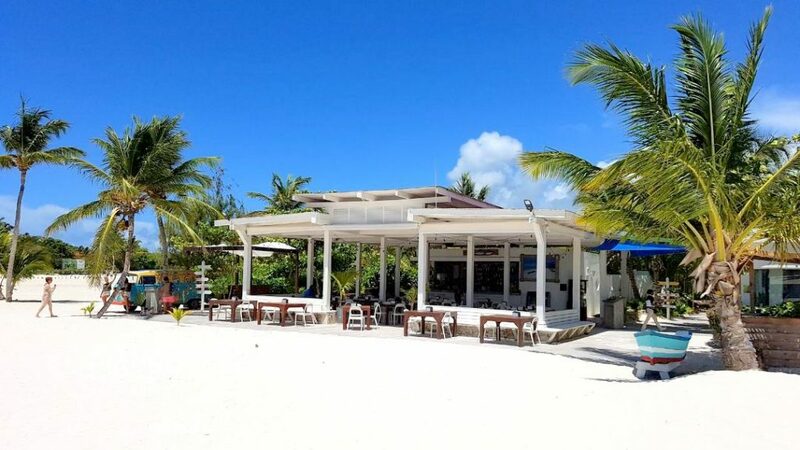 Our recommendation: Juanillo Beach can either be explored individually (it’s about 30 to 45 minutes driving from most all-inclusive resort) or we can organize a tour for you with transfers as well as open-bar and lunch at the elegant Juanillo Beach Club. If you’d like to explore a beach in Punta Cana well off-the-beaten-track, you should venture out to the north of the area and explore Playa Esmeralda, a pristine, virgin, untouched and absolutely beautiful beach, around 60 miles away from most all-inclusive resorts in Punta Cana. The beach is more than 2 miles long (and even longer when you add the adjoining bays) and chances are very high, that you will have the whole beach on your own. If you are looking for hidden, unknown and stunning beaches, Playa Esmeralda is definitely one of your top things-to-do in Punta Cana. Our recommendation: Esmeralda Beach can be reached by land, but you need an SUV (enquire with us for our full-insuranced cars) to get there as the road is in a bad shape for the last 7 to 8 miles. Alternatively we can organize a boat excursion for you if you’d like to explore this piece of heaven on your own. Isla Saona is one of the most famous excursions from Punta Cana, but this comes also with its bill: crowds at the beach and full boats are just two things connected with the Isla Saona, along with its turquoise waters and paradisical beaches of course. However, there is an option to discover the Isla Saona off-the-beaten track where you will meet no other tourists – just the local community of the sole village. 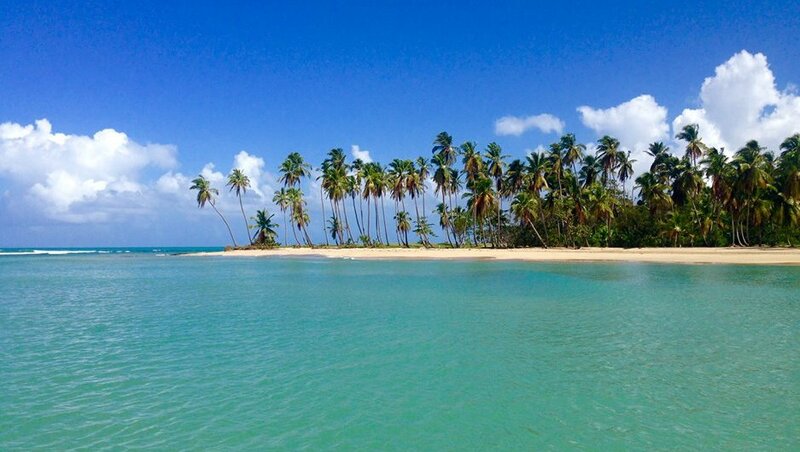 You can’t get closer to an authentic Dominican experience and can combine this with a beautiful and palm-lined beach. Our recommendation: Our Isla Saona Local Experience can either be organized as a day-trip or a multi-day trip (recommended). 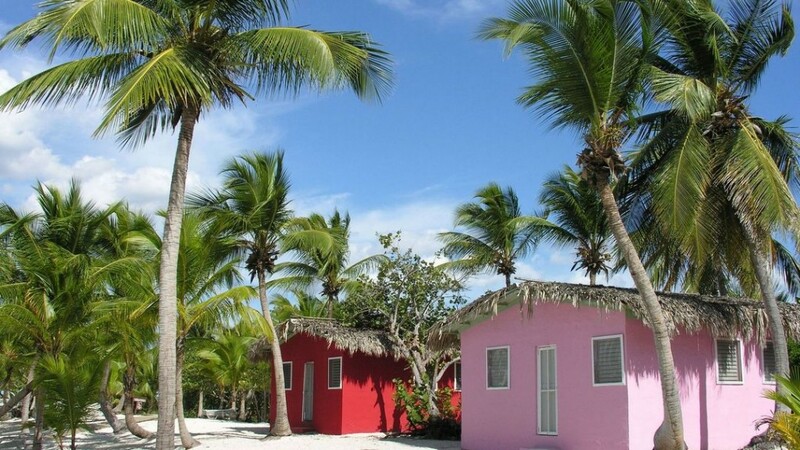 If you decide to stay a night at Isla Saona, you will stay at our basic Guesthouse at the paradisicial Isla Saona – beachfront and with an authentic experience you will never forget. Another thing to do in Punta Cana is to experience the nightlife. Most people will visit the famous and fun-filled (but touristy) Coco Bongo. If you’d like to explore the Punta Cana nightlife off-the-beaten track then you should venture out to Avenida Espana to mingle with the local points. 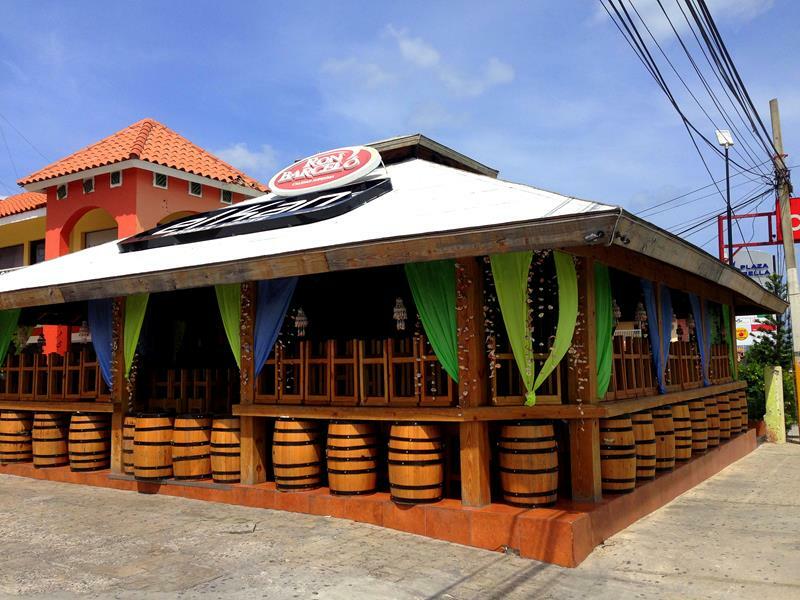 So called drink points are the most popular spots with the Dominicans, where loud music is played and drinks are cheap. If you speak Spanish, there is no better way to authentically interact with the locals, of whom the majority will be resort-workers. So maybe you get a good insider tip for your next Punta Cana holiday? Our recommendation: The nightlife in Punta Cana can be explored on your own, if you leave your valuables at home and use common sense. Taxis and motoconchos can bring you to Avenida Espana, for example to the KAN Drink House. If you’d like to visit the famous Coco Bongo show, please enquire with us and we will book your tickets for you.